The Sensormatic AM or RF EAS Adjustable Multi-Purpose Safers are the ideal solution for open merchandising high-theft products such as perfumes, cosmetics, iPods, MP3 players, razor blades and ink cartridges. The reusable safers protect products in secure housing, integrated with Sensormatic Non-Deactivatable EAS labels, providing the highest anti-theft protection. 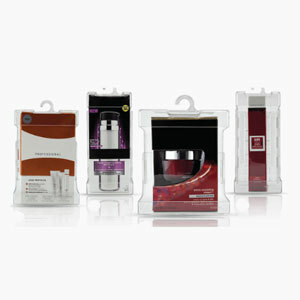 These transparent, height-adjustable locking devices keep high-value, high-theft items secure and accessible, letting retailers’ open-merchandise products with confidence. The safers alarm the Sensormatic AM pedestal system if protected products pass through the detection zone. 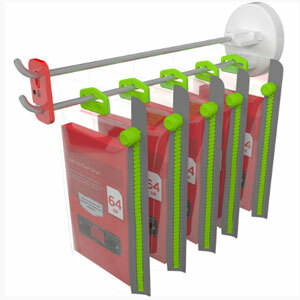 Flexible Safers are a reusable and transparent way to promote open-merchandising while securing items that cannot be protected by safers, alarming wraps or hard tags. It is available in AM Ferrite or RF technology and constructed from three clear, strong and lightweight plastics to form a strong, yet flexible, composite product. Flexible Safers are also extremely easy to use and available in various magnetic strengths to work with the full line of Sensormatic magnetic detachers.